Skip the lines and shop Black Friday deals from anywhere, even your couch. 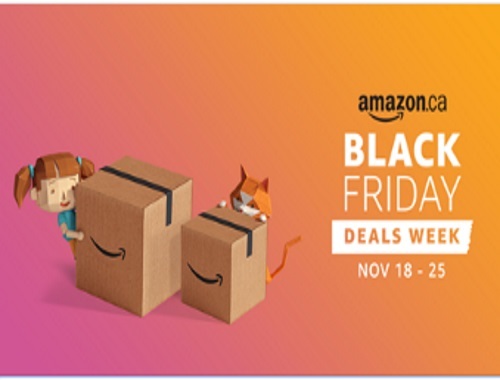 Amazon.ca has hundreds of limited-time Lightning Deals for you to choose from, exciting Deals of the Day, and savings on your favorite electronics, toys, jewelry, and more. These limited-supply deals will go quickly, and new deals will be added often so you can be sure to find a great deal! If you're looking for a quick and simple gift that will delight anyone on your list, check out the Amazon Gift Cards store. Save 20% or more on select deals exclusively through the Amazon mobile app. Offers are valid before Black Friday from November 18-25, 2016. Find out how to download the app and get early access to Black Friday deals here.